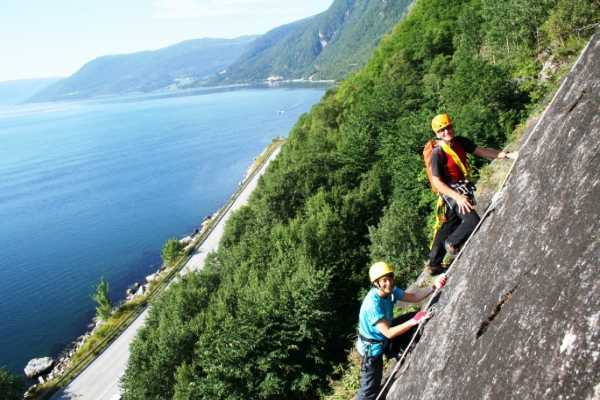 A beautiful climbing route in Eresfjorden! This is an exposed climbing trip right beside the main road. The guide watches the security along the already secured climbing route.  You will have an introduction to safety - and climbing techniques. This is a variant of Via Ferrata, where you are secured by a set-line as you climb. 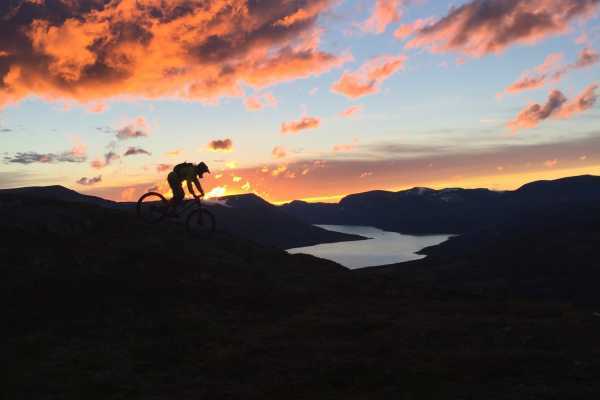 This climb will test your limits to steep and exposed terrain, using your balance and freshly learned climbing techniques to safely ascend the route. 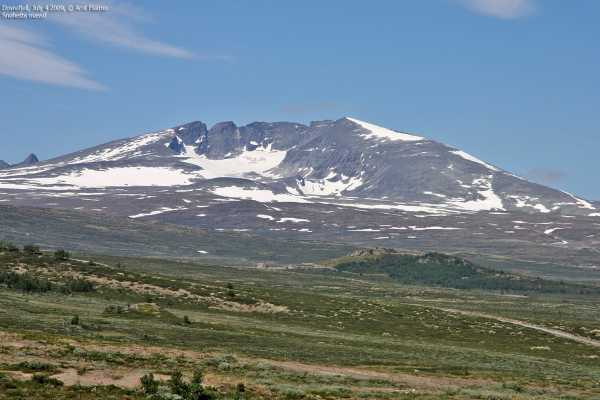 Top route climbing also an option, if time and weather permits. 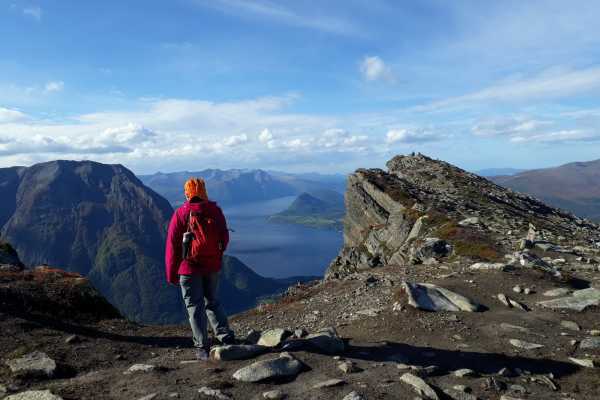 This 5-day hiking tour includes the best of Trollheimen, Dovre and Sunndal National Parks. 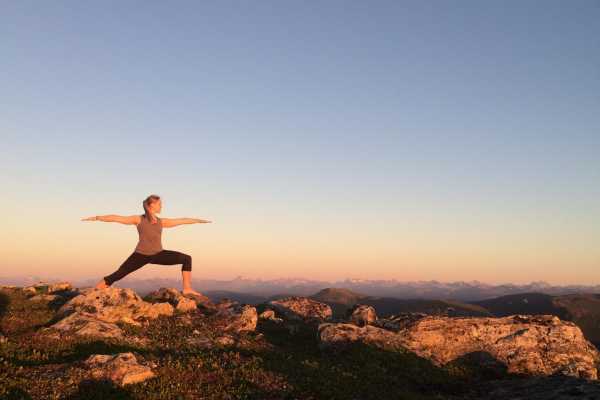 With contrasting mountain areas and varied nature. 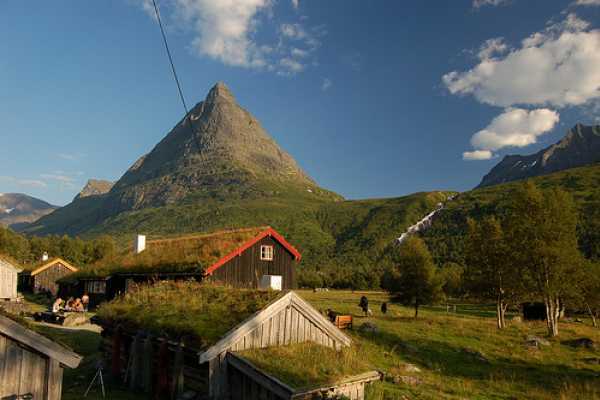 Waterfalls, mountain, beautiful valleys, twisted roads, and a Viking graveyard. 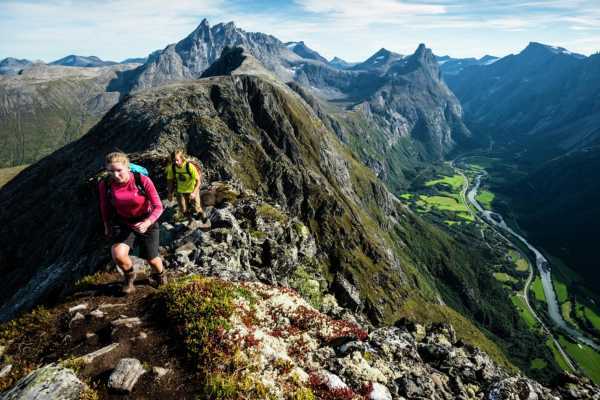 This Norway hiking trip includes it all!. Starting in Oppdal, we visit the largest graveyard from the Viking period in Norway before we start our hike. Heading down towards the coastline, you will visit the famous waterfalls in Åmotan, Alfheim – a beautiful building made of one of the English lords who came to the area for fishing hundreds of years ago. 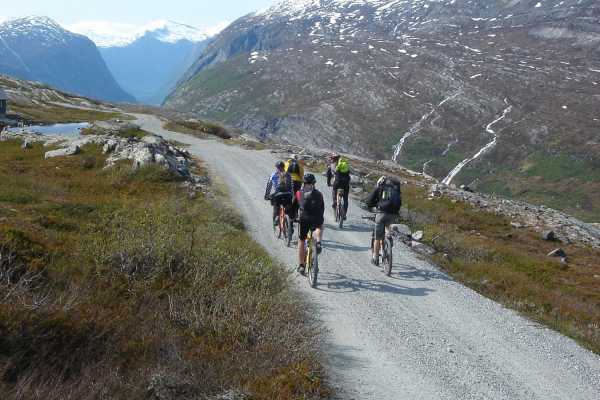 We will drive to Nerdalen and hike in Innerdalen – famous for being one of the most beautiful valleys in Norway! 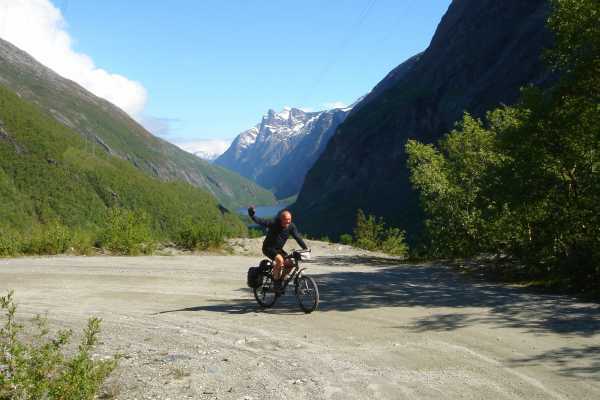 Aursjøveien, which is famous for being tougher and more spectacular than Trollstigen, we do by car. 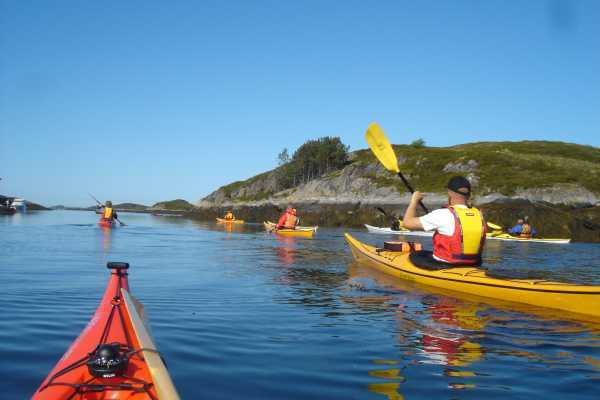 From the fjord – up to the mountain plateau and down to the fjord again! 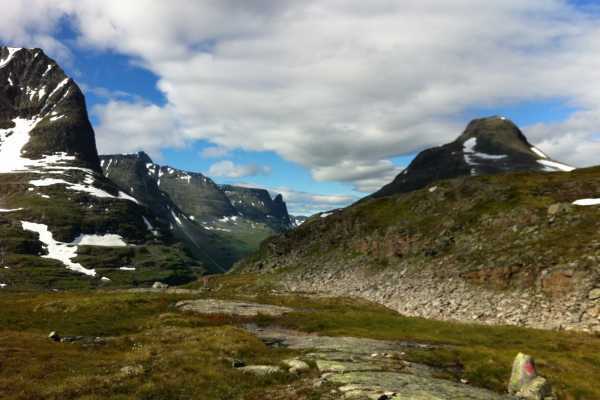 We hike in Vengedalen and visit Trollstigen, before we return to Åndalsnes where we can catch the train.